Be met by our guide at the arrival hall of Beijing airport, and then transferred to hotel. The guide will hold your name sign for you to recognize. After lunch, visit the two most famous attractions in the city center-Tiananmen Square and Forbidden City. Tiananmen Square is the symbolic landmark of Beijing and China and is the largest city square in the world. Forbidden City is the gorgeous imperial palace of 24 Chinese emperors in history. In the morning we will witness the world wonder-Great Wall. 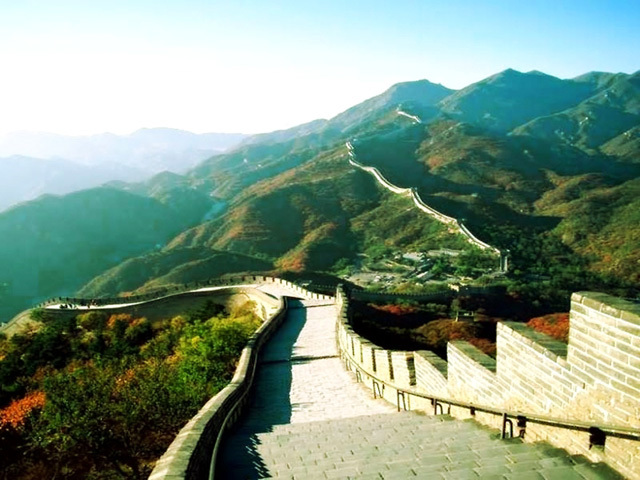 The Badaling section of Great Wall we are going to visit is the best preserved section of the Wall. In the afternoon, let’s enjoy the time in the beautiful Summer Palace royal garden, and the Olympic Green where we will have an exterior visit to the novel Bird’s Nest and Water Cube, excellent for photo fun. After the tour, you will be transferred to Beijing train station to take the overnight soft-sleeper to Shanghai. Arrive in Shanghai; Shanghai train station pickup and transfer to the Oriental Pearl TV Tower. The tower is the tallest in Asia and offers a panorama of the city. Move on the Yuyuan Garden, which represents one of the best classic Chinese gardens with beautiful garden settings. Then visit the Shanghai Museum. It is regarded as the best museum in China, a quick way to learn about Chinese history and civilization. After the tour, send you off at Shanghai airport. End of service. *Hotels as listed in the itinerary. How mach price this tour ?